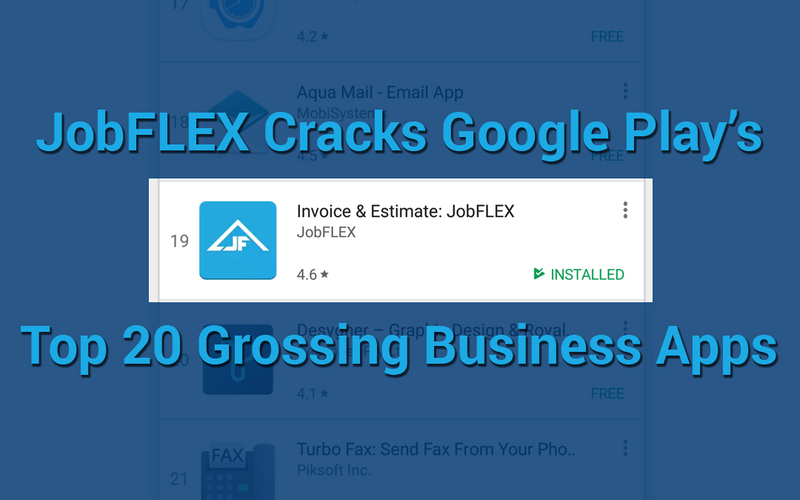 Less than seven months after debuting in the top 50 of Google Play’s top grossing business apps, JobFLEX has reached a new milestone by moving into the top 20. This ascension is notable as JobFLEX is a privately funded startup competing against heavily funded competitors such as Invoice2go, Invoice Simple and Quickbooks. 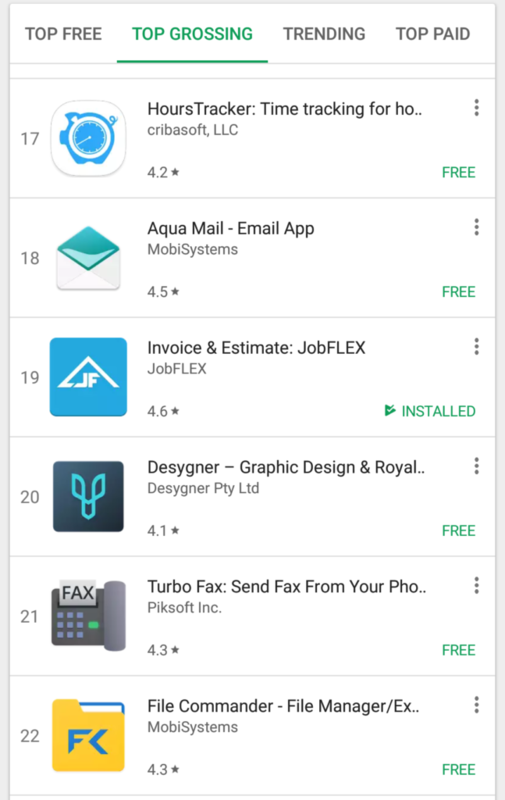 JobFLEX first debuted on one of Google Play’s top lists as a top top ten new free business app shortly after launch in the Summer of 2015. Since that time JobFLEX has aggressively added features including invoicing capabilities which have helped fuel growth. JobFLEX is focused on making continuous improvements to the app to better serve its customers. Future improvements being targeted by the JobFLEX team includes the addition of payment processing. With that next launch contractors will have an incredibly powerful business tool in their pocket that can create quotes, generate invoices, provide past due reporting, and payment processing. We’ve Cracked The Top 20, Help Us Join the Top 10!